Quite a long time ago I fell in love with this soft baby bird print. I bought it, repeatedly admired it over a span of years and then decided to actually make something with it. 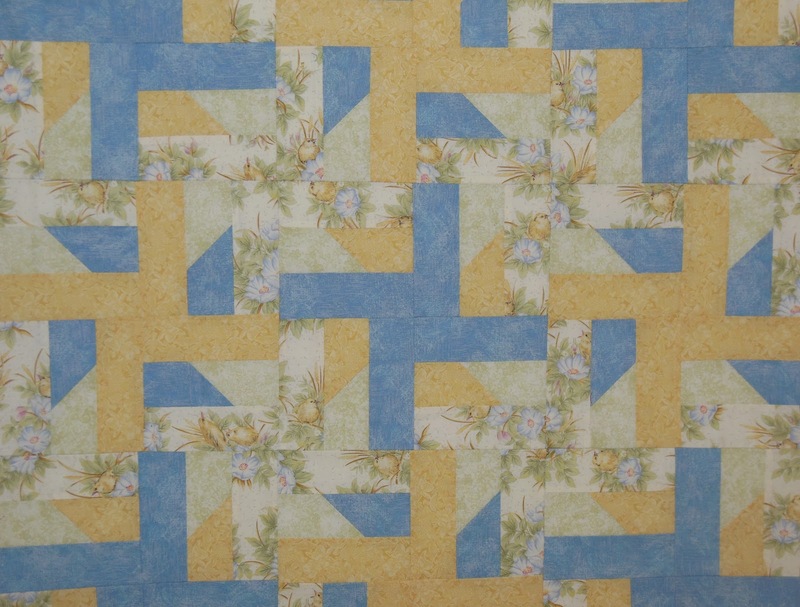 Why oh WHY did I think cutting it up into STRIPS and overwhelming it with a bright blue in this PINWHEEL pattern was a good idea? Enough said. On to better and brighter! Warning – Candy and Brenda, this means you – mini spoiler alert! 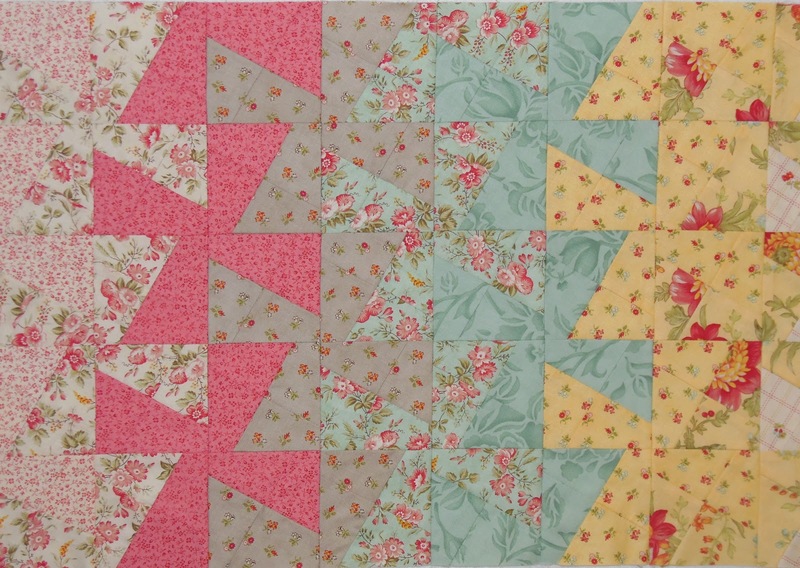 I had a great time in the sewing room yesterday making good progress on my “One Color” challenge quilt. With only one color, the value scale becomes very important. A Ruby Beholder is a great tool when working with color values. 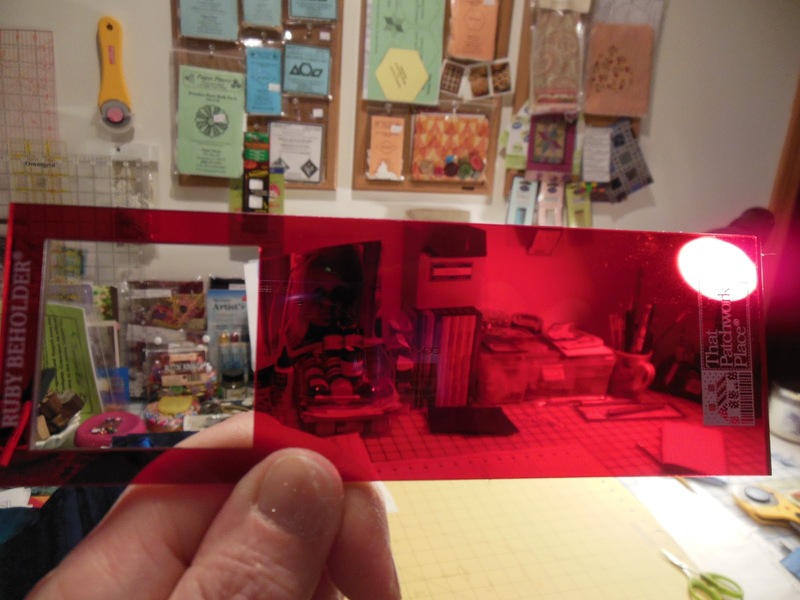 A piece of red cellophane paper works well too. I was going to show more but thought better of it 😉 Can’t spoil the reveal!